Listening to the radio in the morning can stressful – more so if one is stuck in the traffic jam and there is nothing much to do. If that is stressful, try listening to the Tamil channel (Minnal Channel), you will be bored to death. The morning “show” is filled with very little music, plenty of motivational but unnecessary talk, news and “advices” from the DJ. It’s a “killer” but for the wrong reasons – pretty boring I have to say. 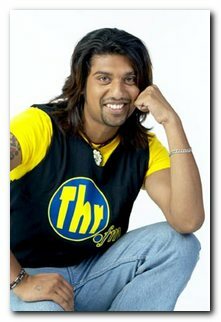 The other Tamil channel – THR Raaga does not start until 10.00 am. So, I am left with either listing to my CDs or listening to English channels like Light & Easy or the Mix FM. But luckily for me, things have changed, beginning from 1st August 2006. THR Raaga now starts at 6.00 am with 2 of its best Indian DJs – “What’z up” Anantha and “Reggae” Uthaya making waves in the air. Their session is fun – they play both new and oldies hits, have a short game in the morning and have funny chit chat between them and the listeners. Anantha always seem to be pulling a fast one on Uthaya. So, for the last couple of days, I have been giggling, singing (ya, that’s right) and tapping on the steering wheel listening to these 2 DJs’ show. I met Anantha and Ram couple of years back, way before they went on to be the famous Indian radio DJs. They were performing at a famous Indian pub in PJ and Saturday nights was something to look out for. Ram takes care of the music and Anantha is the lead (or rather the only) singer. Sometimes they have guest singers but the crowd goes particularly for their live show (and beers of course). i think ur programme too enjoyable and nice. but try to talk to fluent tamil or be try good tamil. becouse we are support tamil language then we better to increase tamil laguage.but now good.still u must increased ur self.really fantastic dj’s i give full support for THR RAAGA. anything i give hearting comment pls sorry…..we are sample of teachers for the next generation ezzzzzzzzzzzzzzit!!! !pls feedback me by emil.thank you.